The reverse side is smooth which makes it perfect for gentle washing and removing cleansing products from the facial area. This super soft smooth surface is an absolute joy to use and ideal for deep cleansing or for removing all traces of cleanser or soap residues. 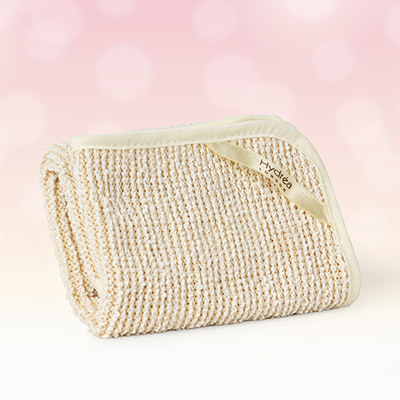 And because this cleansing cloth is natural and made from organically grown bamboo, it is perfect for all types of sensitive skin. The antibacterial nature of bamboo fibre deep cleanses pores and removes impurities leaving your skin clear, healthy and radiant.